The delicious natural strawberry aroma can reveal itself particularly well if you eat dried strawberries for example in muesli, yoghurt or pure as a snack. 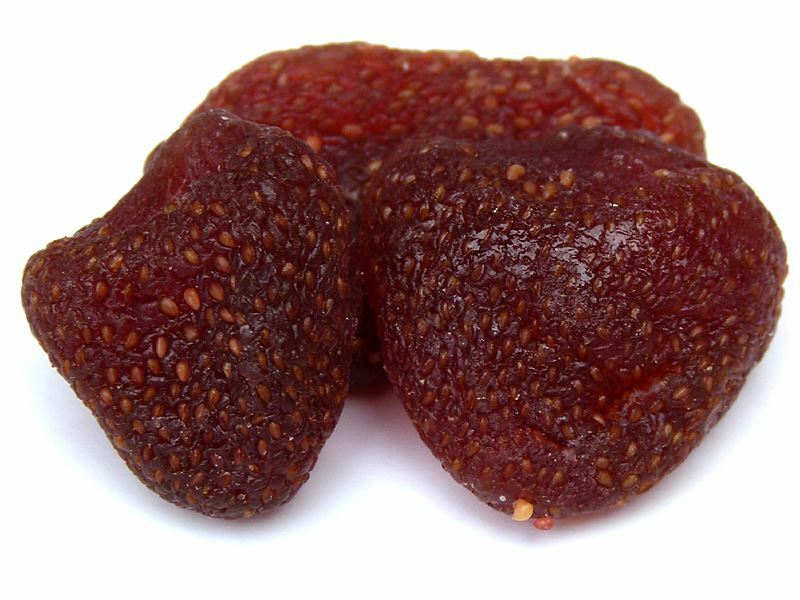 Dried strawberries are invigorating, supply energy, are sweet and healthy. Strawberries belong to the rose family and grow in the moderate zones of the northern hemisphere. Strictly speaking, only the tiny yellow seeds on the surface of the strawberry are the fruit. They were already part of the diet of humans in the Stone Age. Strawberries contain more vitamin C than oranges or lemons, and they are rich in potassium, calcium, magnesium and iron. As natural low-cal food, they support any diet.